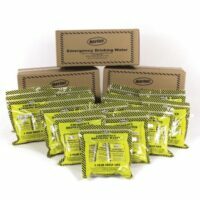 Case of 110 – 400-cal Emergency Survival Bars are stamped with exp date, can be stored outside up to 149 deg. 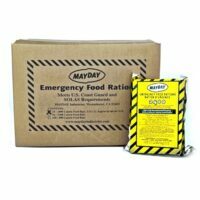 400-calorie Emergency Survival Food Bars – Case of 110 emergency bars – Specially packaged to remain shelf stable for 5 yrs. Emergency food rations are baked and packaged in the USA. No cholesterol, tropical oils or nut oils. 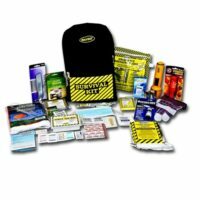 Perfect for any survival kit or backpack. Can be stored outside up to 149 degrees. 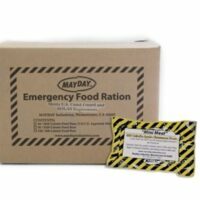 Each survival food ration bar is stamped with date of manufacture & expiration date. Safe for vegetarians and those allergic to nut oils. 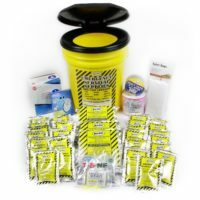 Perfect for school emergency food storage!